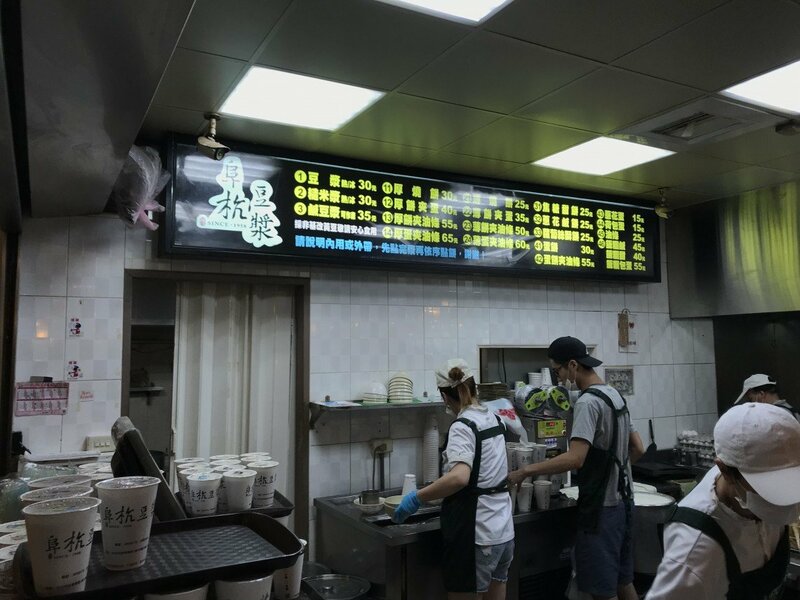 If you want to experience quintessential Taiwanese breakfast, look no further than Fuhang Soy Milk (阜杭豆漿 / fu hang dou jiang). Fuhang is a mainstay in the Zhongzheng District (中正區 / zhong zheng qu) of Taipei. 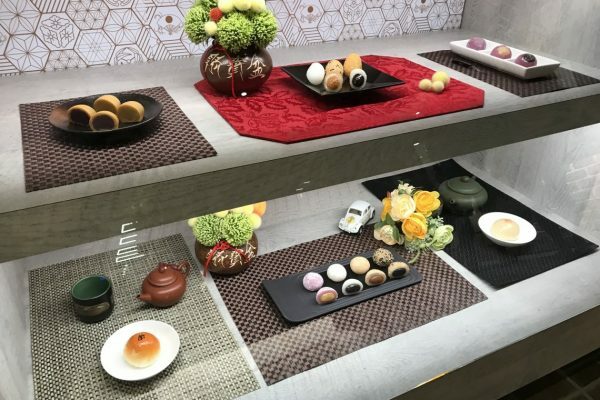 It is located on the second floor of the Huashan Market (華山市場 / hua shan shi chang). From the outside, the building looks pretty unassuming. If it weren’t for the consistent line, you might easily pass Fuhang. 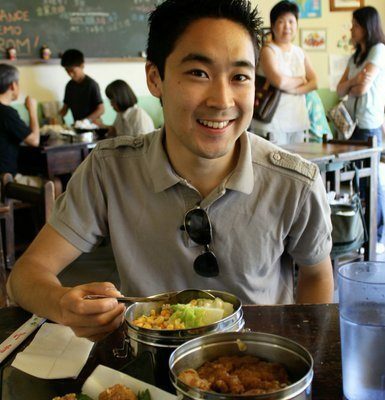 I’ve been to Fuhang Soy Milk on two occasions. There was a line both times and seems to be a line pretty much always. 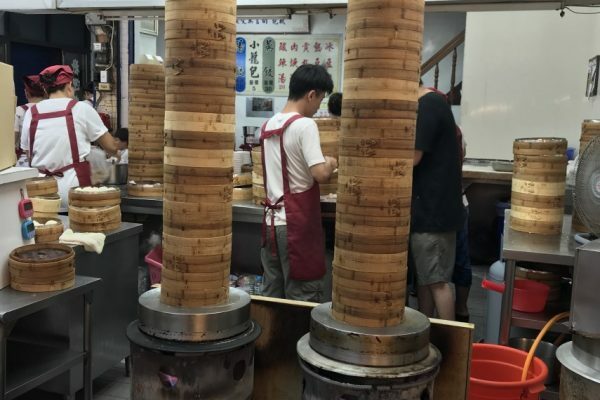 Getting to enjoy your Taiwanese breakfast earlier than later is really a matter of going early, going during the work day, or going when the weather is subpar. After going up a flight of stairs, you’ll find yourself in a large food court. Most of the food court is packed with people, so I’ve found it best to have a partner who can stake out a place to sit and eat. The menu is pretty simple. You have your soy milk, hot or cold. 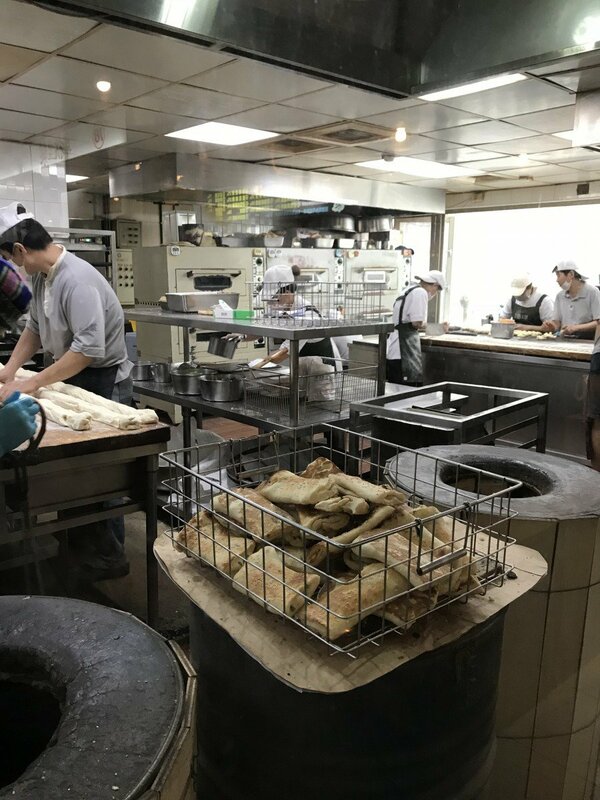 You also have a small selection of accoutrements like flat bread (厚燒餅 / hou shao bing), youtiao (油條 / you tiao), and egg pancakes (蛋餅 / dan bing). 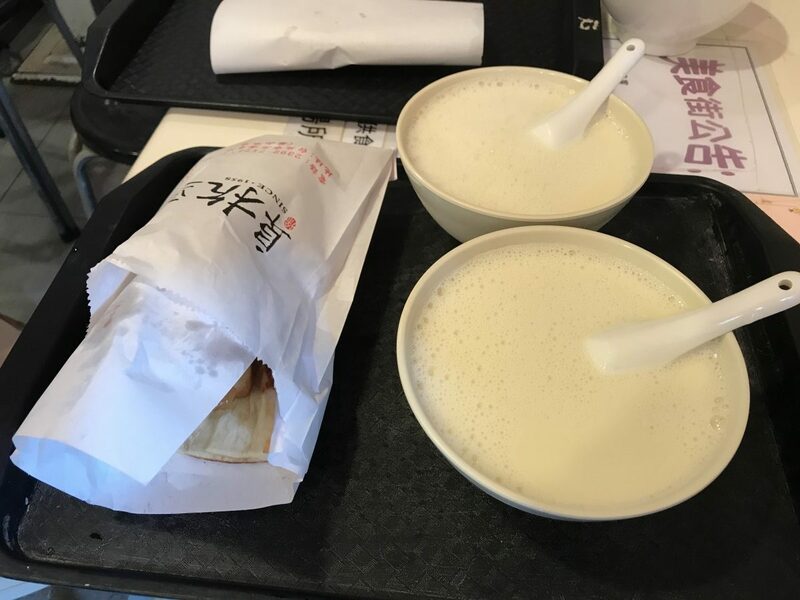 We got two cold soy milk and flat bread with youtiao. The soy milk was pretty good. I don’t know how groundbreaking it is in terms of soy milk—I don’t think my soy milk senses are so refined yet—but it was still delicious to drink up. The soy milk, like many Taiwanese soy milk, had a little bit of sugar added to it for a sweet morning treat. 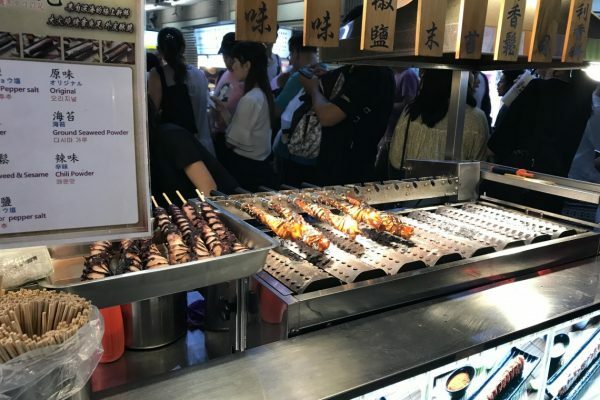 We snacked on the flat bread and dipped the youtiao in our soy milk for a slightly different taste. Having something so bready is kind of odd at first, but especially with all of the other amazing breakfast items in Taiwan, it becomes just another enjoyable part of the day. I don’t know that I would wait more than 45 minutes for Fuhang Soy Milk, but if you’re in the area and discover a short line that doesn’t go too far around the corner outside, I would drop by.